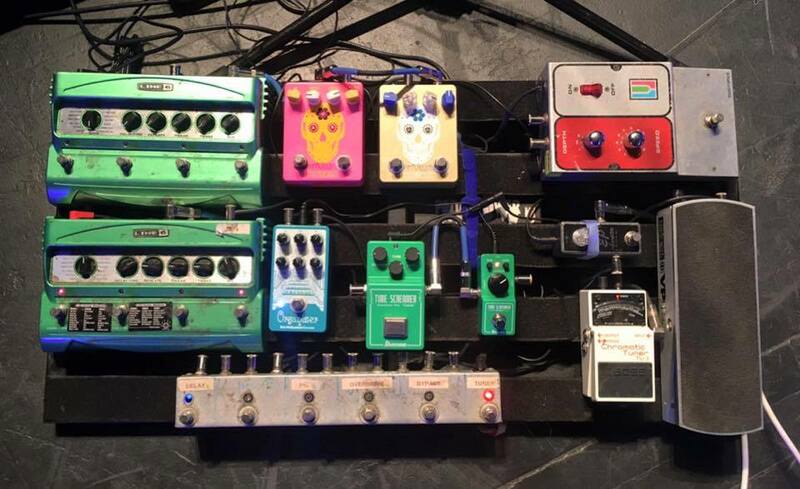 Last week I posted the pedalboard of David Knudson of the killer band Minus the Bear. I was recently at Fuzzrocious’ Facebook page and saw that Ryan had a couple of pedals on Jake Snider as well as a great photo of his pedalboard. There are some great pedals on this board, and what I find particularly interesting, is that he has a few pairs. Interesting. Speaking of Fuzzrocious Pedals, they’re currently trying to win the Small Business Grant from FedEx where they could win $25K. I love helping small business like this. Ryan is a great guy. Fuzzrocious is a great business. So if you can help, you can vote here. Let me know what you think of this board or if you see anything incorrect or missing by commenting below!